Munzee encourages our players to get outside and explore to find Munzees. The combination of technology and exercise is perfect for anyone, but we especially love to see families join together and Munz. Whether your children play a lot or a little, or your wife encourages your Munzee fandom, the family that Munzees together stays together. Family man and Early Bird Adam Moritz (ActMoritz) may not live in the most populated Munzee area, but he works hard to get his family moving and in turn grow the map. This week’s Player of the Week is a shining example of Munzee and we’re proud to have his family as part of our community! Just past BFE on the corner of Nowheresville right next to Carman Santiago and Waldo. In the Booming town of Longview, MO with a population of 4 Munzees, 3 of witch are mine. At an event “TNT” introduced me way back when the app SUCKED (:-P Rob). I capped like 5 at the event and didn’t play again till the same event a year later then I got hooked!! The app was 100X more gooder! That they are everywhere and that it’s super easy to play. But, mostly the COMPETITION of competing with friends mostly made through Munzee. This is kids odd as I HATE sports and I am not usually competitive. My Wife finds it funny how obsessed I get if someone passes me or I get close to someone. Making friends that I am closer to than most of my family. I am pretty awesome, or so they tell me, and I love long walks on the beach. I love traveling as one could probably tell by looking at my Munzee account. I am a steel building detailer and own a small sign shop on the side. I have two boys that are nothing but trouble (they might get that from their momma;-)) several of you guys have probably met them. The oldest loves Munzee the youngest not so much he would rather go hiking and hunt for one of those treasure box GPS game things. Been married to the most smoking hot, beautiful, amazing, and successful woman in the world for 12 years. She Munzees (that’s pretty hot itself) a little. But, I think just to make me happy and pretty sure she really only likes the VM’s and MVM’s. I may maybe a little obsessed with my hobbies! 😉 Saltwater and Reef aquariums!! Reptiles snakes and lizards, Scuba, Custom show trucks, Hunting, fishing and I little thing called Munzee. ActMoritz was kind enough to share his social, so cap away! Here at Munzee we’re constantly encouraging our players to meet and greet and build the personal relationships that make this game so great. Over the next few weeks we’ll be showcasing members of Team Munzee so our players can get to know us a bit better. So each Munday (see what we did there?) check in to see a new member of Team Munzee and you decide if you trust the game in our hands. We may still call him The Intern, but this week’s Munzee Team member does far more than fetch coffee. Meet marketer Matt McCann! I was born in Lake Havasu, Arizona and moved 4 times (California, New Mexico, and Kansas) before my family finally settled in Port Isabel, Texas when I was 6. I spent most of my life there before moving up to Dallas for college. I’ve been here for four years now. Sports, craft beer, and technology are the things my life revolves around when I’m not in school (yes, I’m still attending UT Dallas) or at work. I love to travel, especially for sports, and I’m on a mission to visit all MLB ballparks. I also spend quite a bit of time binge watching movies and TV shows. I actually knew Rob (President of Munzee) and TJ (VP of Operations and Marketing) from Allen Americans (our local CHL hockey team) games. We met before either started working for Munzee, and when they joined the Munzee team, I learned more and more about it. When I was looking for work earlier this year, I inquired with TJ, interviewed for the job and started work a week later. For anyone that’s been to MHQ or met members of the Munzee team, one thing is apparent: this isn’t just a job. The members of the Munzee team are invested in the game and players. We may have laid back attitudes, but our work is top priority. We do everything we can to make the game better and grow our player base. Tying back into what I said earlier, sports and technology consume my life. I can usually be found watching a sport (baseball, soccer, and hockey are my favorites) in my free time. I also play on an indoor soccer team. I’m also a huge SciFi nerd. I love Doctor Who, Torchwood, and Superman. While I’m watching any of these things, I’m usually tinkering on my computer, phone, or tablet. I started learning coding (PHP, Java, and HTML/CSS) for fun. Music is my other passion whether it be listening, making, or editing. I treat myself to concerts when I can, and I’ve edited music for teams and individuals competing in dance competitions. Check back next week to get to know another member of Team Munzee! Munzee Player of the Week: Rob Verstappen! If you’re a Munzee player and you’re ever lost in Europe, there’s only one person you need to meet: Rob Verstappen. Lovingly referred to as “Dutch Rob”, “The Rob V overseas” and even “Rob’s other Brother”, Robje64 is the friendly “face” of our European Munzee community. Always helpful, he’s a proactive Munzee player that’s strengthened the Munzee community worldwide, even volunteering to help us with translations for the Munzee app! Now tip your hat to the other Mr. V. and check out this interview below! As I played, my passion for Munzee grew and grew. I started to contact people. First Germans, Dutch people and some Belgians. Then it took off rapidly all over the world, contacting Munzee players, networking, and making friends. Time and Friendships swept me up in the moment, before this game, I never thought it possible to meet and befriend so many people. After a while i got in contact with the wonderful people from MHQ. And not to put too many words on paper, nowadays i try to arrange as much as possible on Munzee stuff as i possibly can. Setting up Facebook groups, connecting with other players, and volunteering Munzee help for new players. Nowadays, I am fortunate to volunteer testing various projects for Munzee. How involved can one get in the game? It’s super, and I love it! So the most I enjoy about Munzee, is getting connected with lovely people all over the world and being part of this wonderful community. – Seeing at least 1 Munzee being deployed in every Country around the world. – Events being well organized, so more people can meet in real life. – The whats-next-on-the-surprise list from Munzee coming out. – The possibility to link broken Munzee via the app. Oh! and visiting Munzee headquarters one day! For the ones who don’t know me, my real name is Rob. I am in the Royal Dutch Military at Oirschot, Netherlands (near Eindhoven). I am married to the most lovely wife on this planet, Monique. Here she is below! Normally when I go out to deploy/capture Munzee, she’s always by my side. Being very supportive, helping out, and just walking together having fun with the game. We joined the lovely people in the Clan Cologne. Going on streaks together and, as most people know me, eating and drinking with all who wants to join! We can all say that Munzee has taken a very important game in our lives. And when you are that addicted you better make sure to have fun as we do! At home, you can usually find me on my iMac. Creating graphics to share with the Munzee community (Mostly for the Facebook groups)! And of course planning the next trip, discussing with Monique what we want to see or where we want to get most points out of a day. I’d like to thank all players around the world for being in our lives. No matter if we have met you or not. Every munzee is a feast! Thanks to Munzee HQ for letting us (not only me, Monique as well) be player of the week. If you meet me in person i have a special Munzee gift for you! *President Rob Note* “Dutch” Rob is a really important part of our European player base, noted by his honorary title, European Ambassador. It was a pleasure to meet my “brother” in person on my recent trip to Cologne. I can’t imagine anyone taking more care of the details and organizing a great opportunity to meet so many of our amazing European players. I’m happy to honor Rob for his impact on Munzee today! If you know a player that should be nominated for Munzee Player of the Week, shoot us a message at iLoveYou@Munzee.com. Please note, this is a super active campaign. We may not be able to get back to everyone, but you’re helping to grow the list of amazing people in the Munzee community! By now, you know it’s not all about the numbers. The Munzee community grows strong through networking, friendship, and building up a presence in your local (and online) community. This week’s Player of the Week Spotlight goes out to Kimberly Cole, also known as ColesCruising. With a positive Munzee attitude and helpful nature, you’d be surprised to learn this new face in the world of Munzee discovered the game a little over three months ago! Munzee has played an important role in her life, and she’s paid it forward by being a strong presence in the Munzee communities online and real life! Let’s take a moment to meet ColesCruising! Where in the world do you live? Harrison, Arkansas (USA). How long have you played Munzee? -Just over three months, which is why I am shocked to have been nominated! I started and admin a Facebook Group called RVers Life for Me. Within the group, one member asked if anyone was into Geocaching. Someone responded and said they hunted Munzee instead. I had no idea what that was but had to know, so I was off to Google. Within minutes I had downloaded the app and haven’t looked back since! It didn’t take long for the addiction to hit and that obsession was infectious. Now my husband (Harry4077) and my daughter (Dux) are playing with me along with my neighbor Doug (DFC1560). In addition, my son and his family are now playing in their area of California! I love that the game is ever-changing, ever-evolving. I am always pleasantly surprised with the new things that are cooked up in the Munzee kitchens and I look forward to each one with the anticipation of a child on Christmas Eve. However, what I love most about the game is what it’s doing to us as a family, and to our health. Playing Munzee has afforded us a chance to do new things and see new places we might not have seen before and it’s given us a sense of purpose. A great reason to get outdoors more, to be more physical and as a result – all three of us have lost weight. Better yet, Donald’s health is improving. When we married five years ago, I was warned by doctors that I wouldn’t have him very long. You see, Don’s heart works at only 17% of normal and there is no fix for that, short of a transplant. Yet, through his new activities with Munzee – as well as his medications – he is improving. Two weeks ago, at his cardiology check-up, we learned that he was no longer sick enough to be on the transplant list! Last week, we were in Eureka Springs, Arkansas where CoachV has a number of deploys and I was shocked to see Don climbing stairs and walking hills – things he could not do five years ago – things he would not do six months ago. What do I enjoy most about Munzee? I have a stronger, healthier and more vibrant husband. I have a closer and more fun loving family, I’m skinnier and I have met some of the most kind-hearted, helpful, funny and endearing fellow Munzers that I am now proud and honored to call friends – and family. You might be sorry you asked me that question! · A badge for collecting Social Munzees at 250 collected, 500, 750, 1000 and A badge for how many times your social has been capped (perhaps folks wouldn’t hide theirs any longer)! 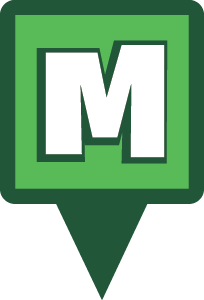 · Bumper stickers: “I brake for Munzees” “Munzee Hunter on Board” “Code Hunter: #Munzee” – Growing the map is great, but growing active players to the game is one of my goals as well. My real name is Kimberly Cole, I live with my husband Donald (Harry4077), our daughter Kayla (Dux) and Traveler – two year old ShihTzu. We have lived in our RV for the last two years, traveling the country when school is on break, long weekends and vacations and document our travels through our blog site: www.ColesCruising.com. I have five children, three grandchildren and seven siblings – all spread from corner to corner of the country. This is one of the many reasons we choose to live our nomadic life – it affords us the ability to be in Vermont, California, Alaska, Florida, Arkansas and everywhere in between when one of life’s great events occurs with any of them. 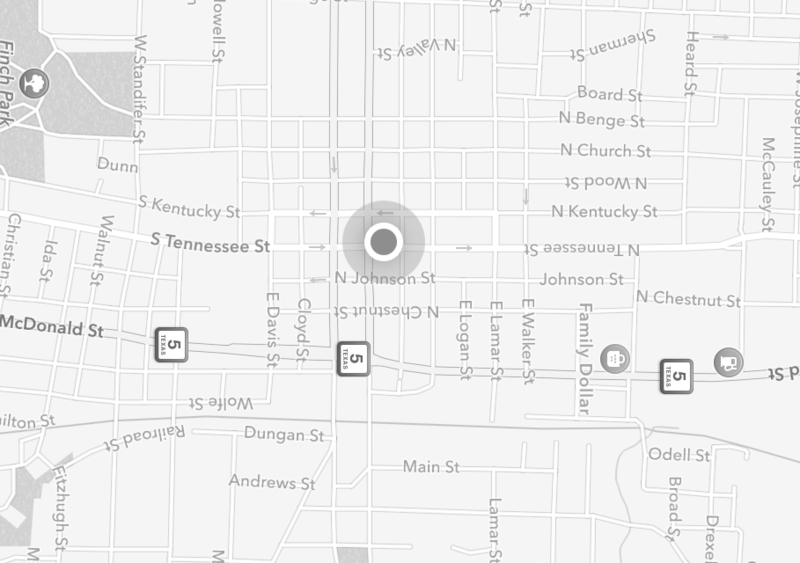 When I began Munzee, my hometown had one Munzee pin on the map. Since then, my husband and I have had our town – and a few surrounding towns – on the Hotspot list a number of times. When I am not Munzeeing, I work as a freelance writer from home and administer more than 10 different Facebook groups online dealing with a number of different interests. I’ve recently taken on the role of admin for the Facebook group ‘The Munzee Trail – A Photo Album’ where all Munzers are invited to share photos of things they have seen while on the trail. In addition, I am now co-admin for the ‘Social Munzee Sharing Group’. When someone says “Munzee Madness,” one thought comes to everyone’s mind: 1849! You know him as an Authorized Munzee Dealer, the man behind the Munzee Madness Facebook group, several Munzee + Photography websites, and one of our biggest celebrities. 1849, also known as Elliot Koeppel and proprietor of MunzeeMadness.com is Munzee’s Player of the Week. Get to know the man behind the countless Social Munzees, amazing photography, and awesome Munzee merch’ through the interview below! I first heard of Munzee in a couple of logs on one of my ‘caches. Two people mentioned finding it, as well as the Munzee that was located right near by (one of H20Klan’s). So I googled “Munzee”, thought it sounded fun and downloaded the app. I then went out to my ‘cache, found the Munzee and capped it. From that point on, I was hooked! There are several things I enjoy about Munzee. When I first started playing, it was all about the points and trying to get to the top of the leaderboards, I made it as high as #3 for about one day and then settled into #5 spot for a long while. 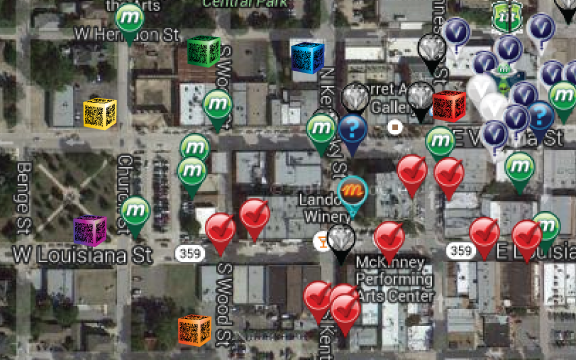 I enjoyed leveling up, hearing the “ding,” and searching out places with lots of Munzees on the Munzee map. There’s something addictive about deploying a Munzee in such remote, beautiful places and then sharing the experience with others. Have I mentioned BADGES? I love BADGES! I think they are going to really open up a new style of gameplay for the players who are looking for an alternative to only playing for points. I still enjoy getting together with friends and “carpet bombing” a mall, or hitting a power trail and trying to rack up a big daily score, but for me, Munzee isn’t always about the points. It’s more about the sense of adventure, the thrill of the hunt and deploy out in the wilds, sharing experiences and the game with others and trying to grow the map. I would like to see tons of BADGES added to the game, with the ability for premium members to create one Badge of their own. I’d like to see more special events along the lines of the x-box, the Gold’n Coins, the Hamburger. I’d really like the ability to contact brand new players I see capping my munzees, so I could help them out, get in touch with them, invite them to local events, etc… (Guess what Elliot, your wish has been granted!!!). If we could do that and encourage the brand new players, I think they would be more likely to keep playing the game. It would be a great way to build a local community of players. Most of my Munzee activity is solo, but there are a number of nearby players with whom I regularly go out with to seek and deploy, as well as some long distance (even coachV on occasion)! I enjoy creating Social Munzees, co-hosting the annual Munzee Madness event with H2oKlan, running the http://www.munzeemadness.com site and the new http://www.Cali49.com. Anyone wishing to follow me on twitter, I have two accounts: @CaliFortyNine and @munzeemadness I really enjoy Munzee and being able to combine it with family, friends, travel, photography and then sharing the results with fellow players around the world. I’ve met some great people while playing, both online and in person, and am looking forward to many more years of a great game.